They’re dark, damp, cold, and eerie. They are made of thick cement walls, built to withstand a war. In some cases, one can peer through the expansive arches overlooking the murky, dreary interiors that are littered with broken glass. Who knows what’s living in there? 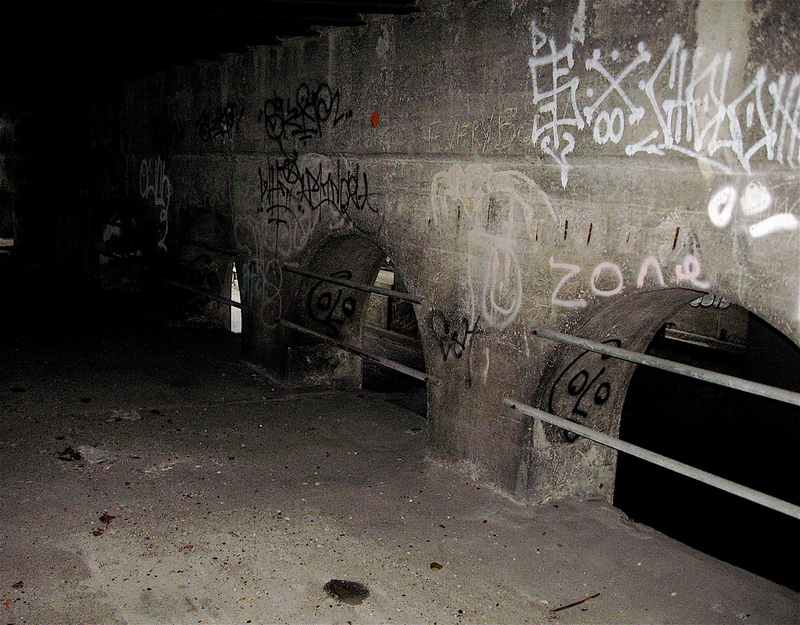 These impressive dungeons of Detroit have probably been there for well over a hundred years. They are found throughout the city, and the beauty of them is in their design and that they are easy accessible by bike. In fact, I’ve ridden through many of these old, dark clammy places many times, and I’m always fascinated with how well-built they are. 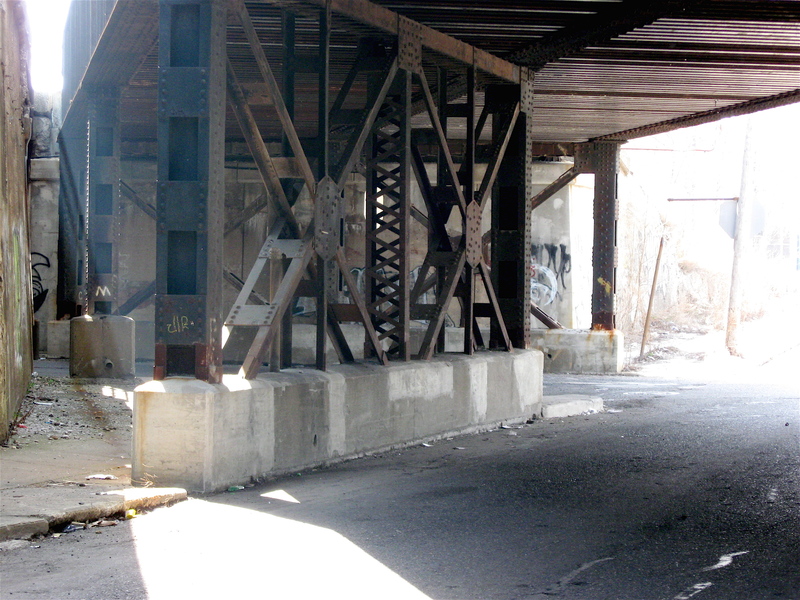 The most unsettling one is along 20th Street near West Vernor on the city’s west side. It’s a dark place, and the cement floor is rough. Scattered throughout are small pieces of broken glass. Many of the small glass shards near the entrance and exit of these places reflect the limited sunlight that briefly streaks in from both ends. The multi-faceted reflections remind me of diamonds. Upon entering this tunnel like road leading downward, the chill and dampness is instantly noticeable. So is the quick shift from brightness to total blackness. Like others I’ve ridden through, this one is built to withstand a bomb. However, instead of using big sections of cement to build it, this one has a combination of steel girders and cement holding it all in place. 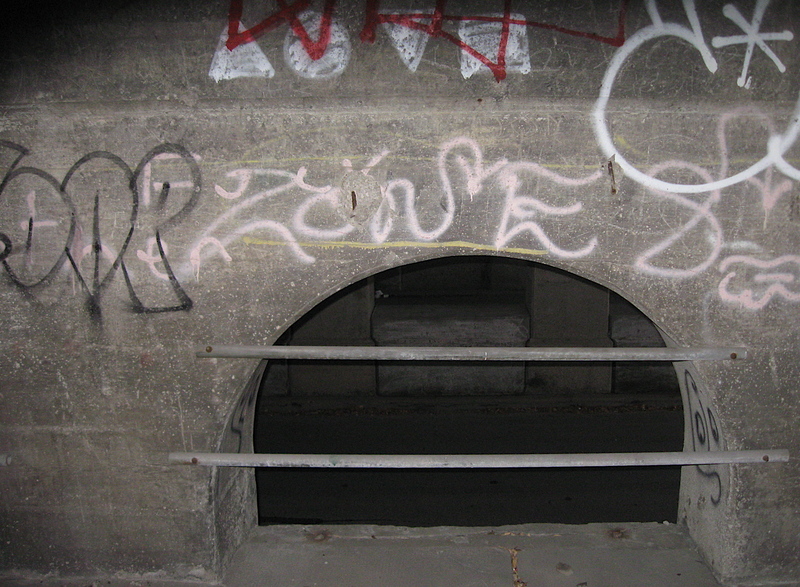 These dreary old places in the city are not scary dungeons in the truest sense of the word, but tough, well-built underpasses that support railroad tracks or multi-lane streets above. Many of these dungeon-like superstructures of cement and steel were built at a time when Detroit had no expressways and handled thousands of cars daily. Now, a number of them are underused and slowly crumbling and rusting away. Those of us that live here know that Detroit has beautiful buildings. Many of them were built in the 1920’s, 30’s and 40’s, and a lot of them still retain their interesting decorative trim elements. Looking at the many vintage buildings, it’s easy to spot colorful glazed tile, three-dimensional sconces, and ornamental cement castings centered above doors and windows. Other ornate trim pieces can be found along the rooflines, especially on two-story brick buildings. A number of them spell out the building benefactor or company name. In addition to the fascinating trim elements, plenty of the buildings have interesting brickwork incorporated into the design. 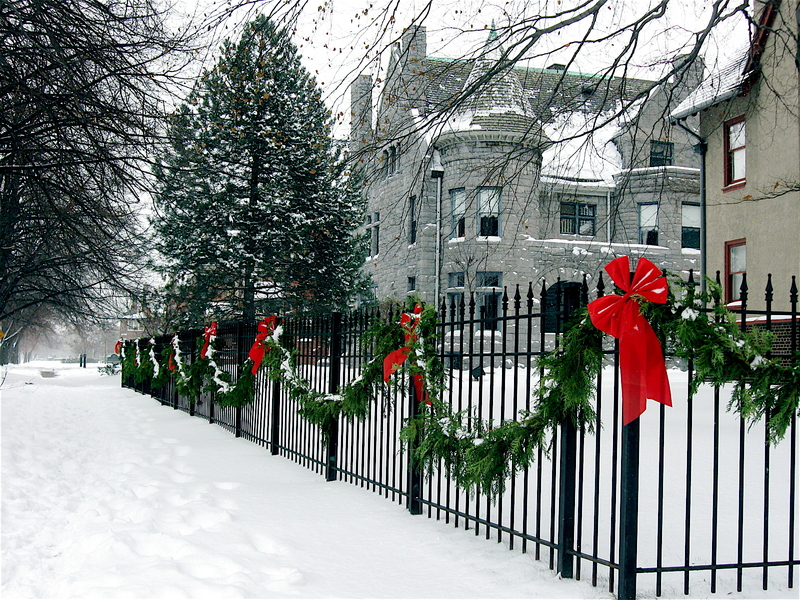 The unique masonry craftsmanship is especially noticeable on the buildings that were put up during the art deco period of the 1920’s and 30’s. Dated corner stones, typically mounted on the building at street level, are also found throughout the city. Some of the most ornate wall sconces and intriguing inlays are made of marble or limestone. 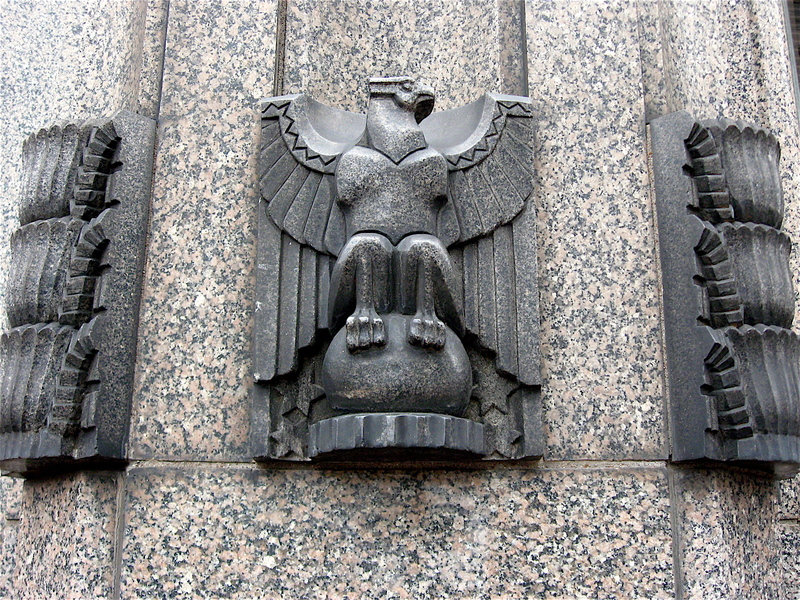 The elegant pieces are used as highlights on some of Detroit’s finest buildings such as the Guardian in downtown, or the Fisher Building in the city’s new center area. Many look like something found on a gothic cathedral built hundreds of years ago. There’s one inlay in particular I spotted that is quite interesting. It is on a single-story, nondescript building in the historic Milwaukee Junction section of the city, near East Milwaukee and Brush Streets. 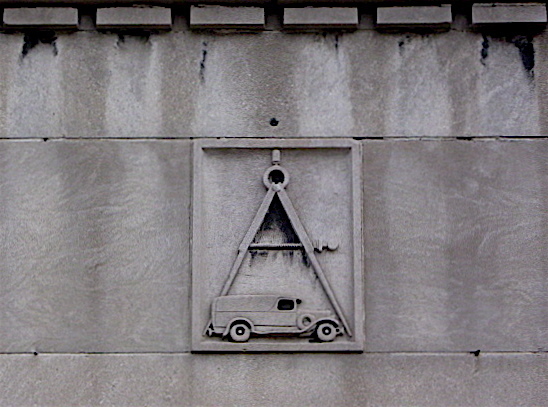 It’s a modestly designed piece that includes what appears to be a 1930s era two-door panel truck with an open drafting compass spanning the width of the vehicle. Looking at this cool trim piece, I’m thinking the building was once a design center for one of the car companies during the height of the city’s automotive boom. There is a colorful painted building on the corner of Burt Road and Tireman Street on Detroit’s westside. Design wise, it’s a simple, non-discreet three level structure that at one time could have been a hotel. But more than likely, it was probably built as an apartment building. The long narrow place faces Tireman and extends a couple hundred feet from left to right. What’s remarkable about the old abandoned place is what’s painted on the outside. Each of the building’s three floors has a unique paint job that covers its length. Reds, yellows, and various light shades of pink are painted in different sized blocks and squares along the top floor. The second level consists of painted block and squares as well, but a variety of different sized circles are incorporated into the design. The colors used on that floor are made from various hues of blue, greens, and yellows. The bottom floor has the darkest color combinations of the three. Deep purple and blue shades that fade to gray dominate the first floor’s colorful circles and blocks. Those darker colors seem to anchor the building to the ground. The second and third floor colors gradually lighten as they move up, drawing the eye upward. The building’s unusual hand painted color scheme creates a natural flow from bottom to top. 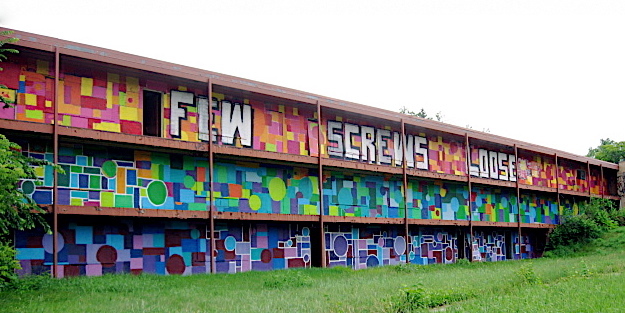 In addition to the brightly colored blocks and circles covering the building, painted along the top floor are three simple words: Few Screws Loose. The words are painted in large white block letters, outlined in black. The size of them reminded me of those found on billboards along the freeway. On my citywide bicycle rides I see plenty of colorful hand painted walls, buildings, etc. with many names and letters, but I’ve never seen these particular words before.